Everyone wants to own the best bread maker available. And the best is one that provides convenience on a busy day and allows you to relax on your day off. Black and Decker created the B6000C for just that reason. How good is it exactly? Does it make a worthy investment? 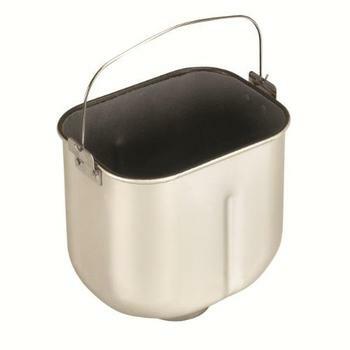 More importantly, does it deserve a place in your already cramped kitchen top? Read on and let this bread maker review shed some light into your decision making conondrum. 1.5 Pounds? 2.0 Pounds? Or 3.0 Pounds? As one of the latest bread makers to be released onto the market, the Black and Decker B600C brings a number of new features and a slightly new aesthetic to their popular line of bread makers. 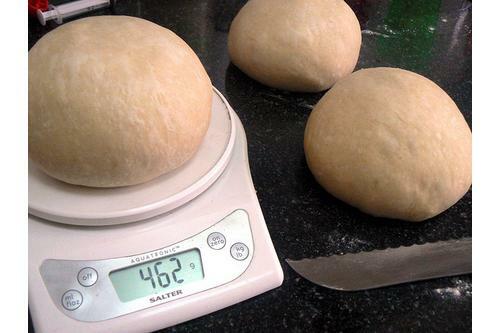 When you are in the market for the best bread maker available, it’s important to take a number of considerations into account that could push you to buying it or deciding that it’s just not for you. One of the main features of the Black and Decker B6000C is the fact that it bakes 1.5, 2 and 3lb loaves. 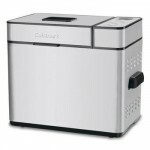 One of the similar bread makers by Black and Decker only supports 1.5lb loaves. So if you have more mouths to feed and need to bake larger quantity each time, the extra storage room can be highly useful in cutting down overall baking time. 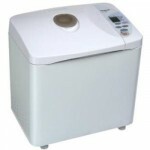 If you have such need, what looks like an ordinary appliance suddenly seems like the perfect bread maker to you. 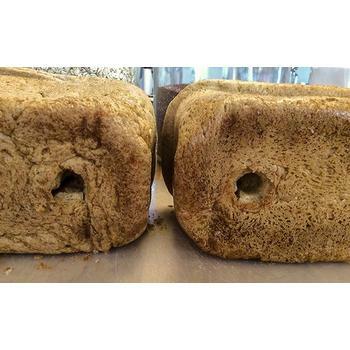 Although not necessarily a revolutionary feature, the fact that the bread maker provides a traditional horizontal loaf shape is a basic, yet absolutely necessary, feature that is needed for it to even be considered as one of the best bread makers. Out of the 11 preset features included on the bread maker, there are 2 dedicated to low carb and gluten-free bread, which does well to modernize the brand. There’s also a nifty setting that allows you to set the machine to bake regular crusts or dark crusts, helpful for those that like a little variety in their bread. All of that being said, this wouldn’t be a proper bread maker review without touching on the cons associated with the product. One aspect where many Black & Decker B6000C owners have given low score is the lack of light for the LCD display. This means that you cannot operate this machine in the dark. Sometimes, if you like to get up in the middle in night just to make sure that things are going all well, you need to turn on the light. It doesn’t let you take a quick peek with the light turned off. Other than the lack of lighted display, I’ve not come across really serious negative reviews that deem the B6000C a subpar product. 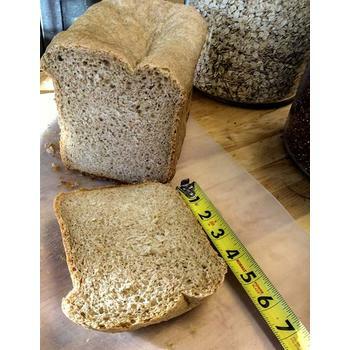 One minor complain that is shared in a number of reviews is the rather tall loafs (instead of horizontal) that is produced. Whether or not this is an important drawback depends on your expectation. For someone who decided to go for this bread maker because of the promise of horizontal loaf, then it can be rather disappointing. Otherwise, I think it is not so crucial of an issue. There are a few important technical specs that should be looked at before deciding to purchase this bread maker due to this bread maker review. 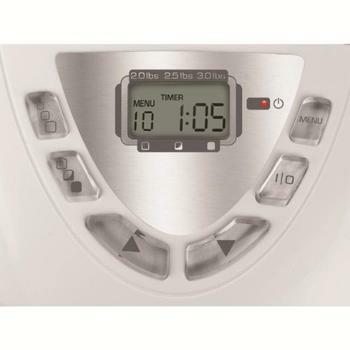 First of all, the B6000C includes a crisp LCD display, 11 pre-programmed settings to choose from and even the ability to set the bread maker to delay its baking time for up to 13 hours. It also comes with dual-kneading paddles, which are far more useful than the prototypical single paddle that comes with most bread makers (eg. 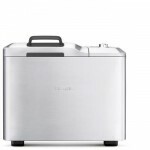 Breadman TR520) and are an addition that you may want to heavily consider when looking for the best bread maker. The aforementioned paddles help to knead the dough more efficiently. 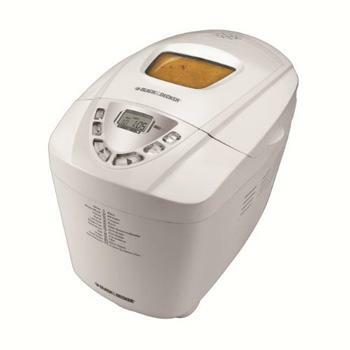 Also included with the bread maker is a non-stick coating, a lengthy 2-year warranty and an alert that tells you when its time to add any additional ingredients. Are you ready to make your decision? Do you think Black & Decker B6000C fit perfectly into the kind of perfect bread maker that you’re looking for? What’s Good about West Bend 41300′s Dual Knead Blade?